There are two species of tuatara. 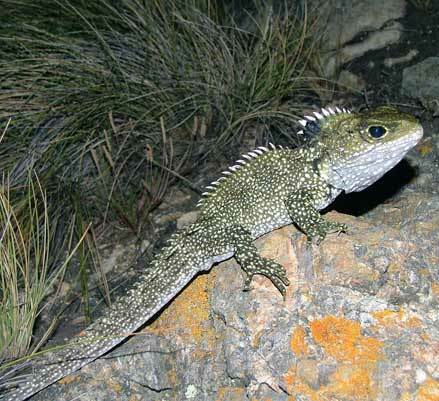 One is the Brothers Island tuatara (Sphenodon guntheri, pictured), which, until recent re-introductions to sanctuaries, only survived on North Brother Island in Cook Strait. The other species is the common tuatara (Sphenodon punctatus), which survives on many other offshore islands. They look similar but are genetically distinct. How many tuataras are left in the world?